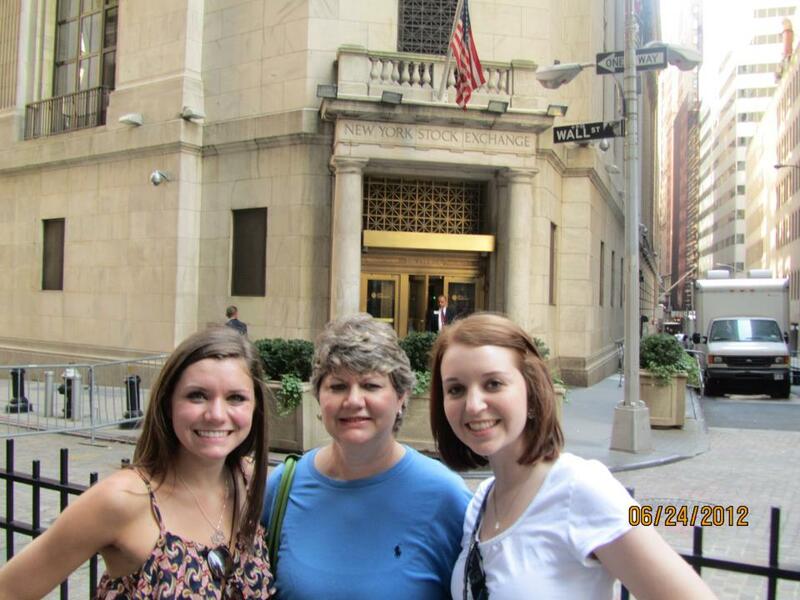 I spent last week in New York City with Chelsey (sister), Carol (stepmom), and Brynn (Chelsey's friend). We had such a great time! 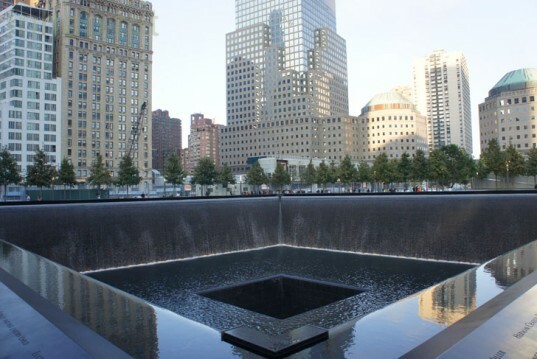 I went to NYC about 11 years ago, but I was with a big group, so I didn't get to experience the city as much. I'm going to take the next few posts to document some highlights of our trip. When we arrived at LaGuardia, we were picked up by a white stretch limo. 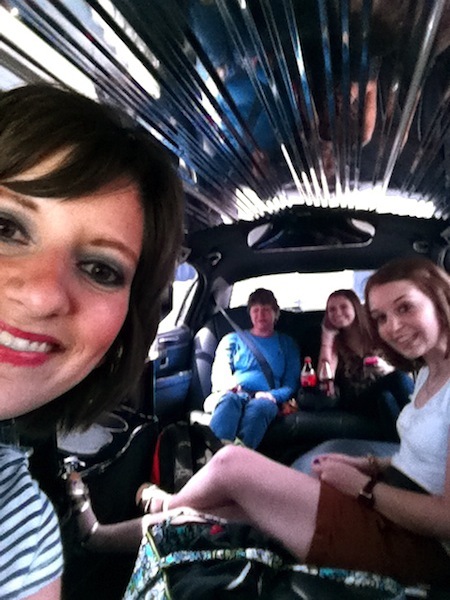 This was my first time to ride in a limo, and I must say, it was quite nice. I sprawled out on my own bench seat as we made our way into the heart of the city. 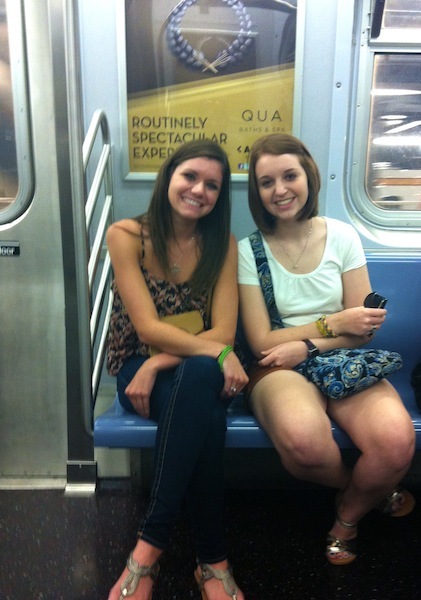 We decided that the subway would be the most economical way to get around the city, so we dropped our bags at the hotel and quickly jumped on the train! We walked down the famed street to the New York Stock Exchange. Okay, friends. For years, I've heard people rave about the magnificence of Carnegie Deli. I've watched TV shows that feature the delicatessen, so I insisted that we stop in to try it out for ourselves. Chelsey and I split a Club Dear turkey sandwich. The only impressive thing was its price tag ($25 + $3 to split) and size. The turkey was bland and the sandwich was altogether tasteless, except for the bacon. 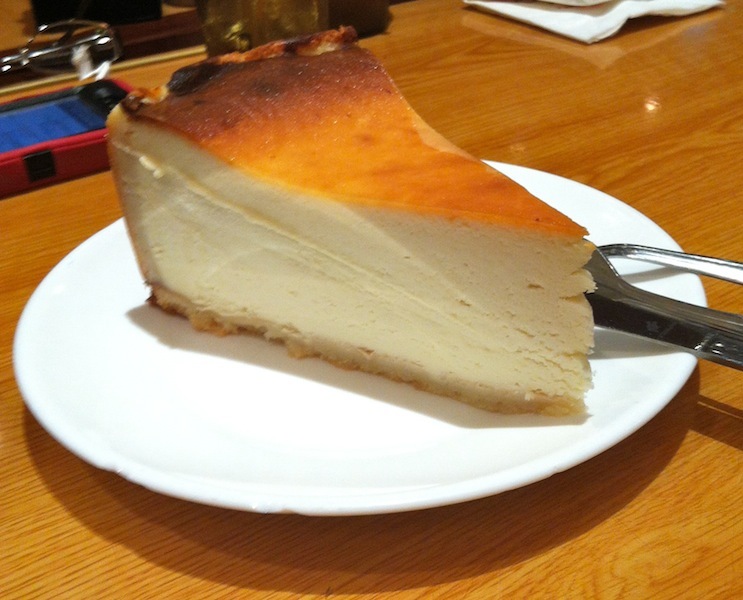 We followed our sandwiches with Carnegie's plain cheesecake. I enjoyed the NY Style cheesecake, but the others preferred Cheesecake Factory to Carnegie's version. 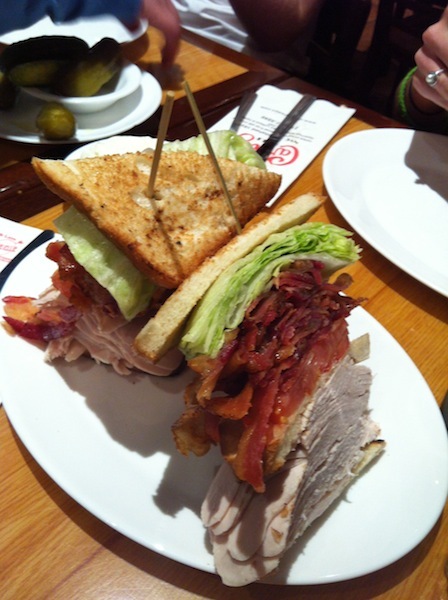 On the whole, we were underwhelmed with Carnegie Deli, especially considering the hype that the place has received from media. This place really confused me. I was shocked by the three floors of M&M paraphenelia, and I was even more intrigued by the lines of people who were buying all of the stuff. 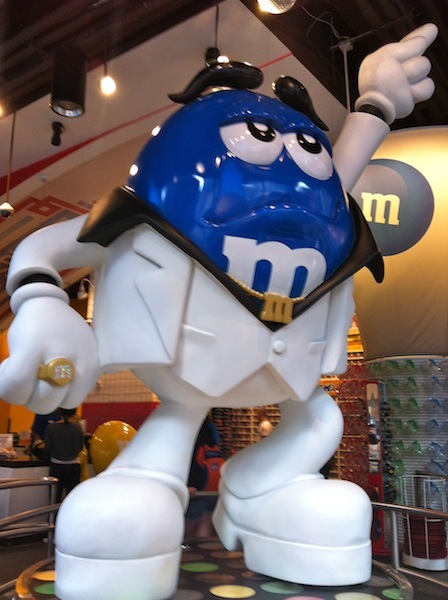 I mean, everyone loves a good M&M, but I can't imagine wearing earrings and a bathrobe with the famous logo. Fun to see, but truly over the top, in my humble opinion. We continued our stroll into Times Square. Truly, there is just no way to effectively communicate the crowd, signs, noise, lights, side shows, etc that combine to make the chaos of Times Square. It's beautiful in its own right, but there is just so much to see! We slowly meandered through, trying our best to take it all in. This place was incredible for everyone! 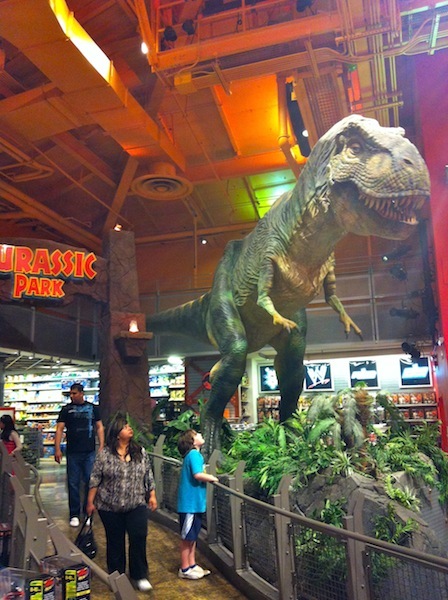 The ferris wheel, the Barbie Dream House, CandyLand, Jurassic Park, Legoland. 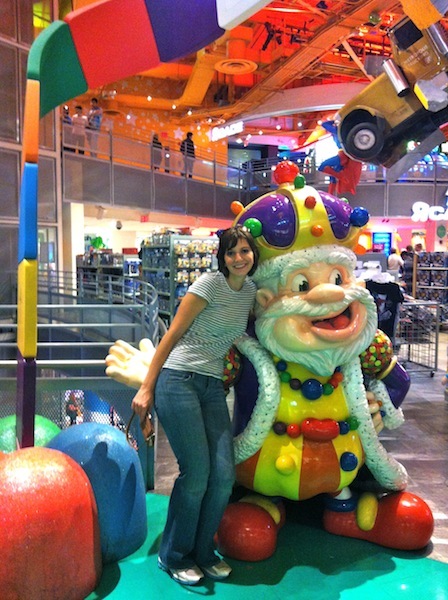 The crowds were all smiles as they worked their way through several stories of toys. So fun! 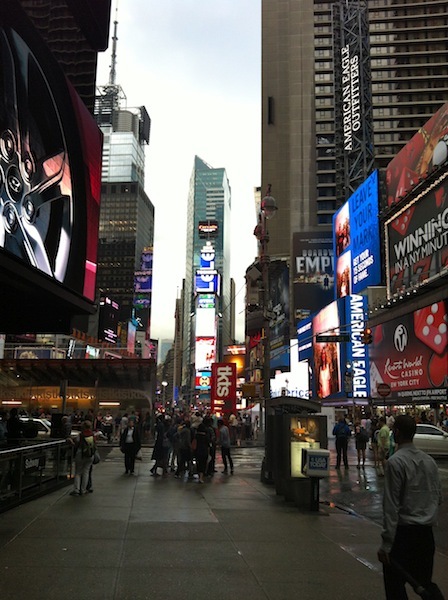 We made our way through Times Square and to Herald Square, to the iconic Macy's in Herald Square. Chelsey and I have always loved the Macy's Thanksgiving Day Parade, so it was a dream come true to see the location for one of our favorite events of the year! Day 1 was so much fun! We spent the remainder of the evening slowly making our way back to our hotel, strolling down the famed 42nd Street and through the Theater District. We knew, we were in for a real treat!